This twist on a classic cocktail is sweet, spicy and PERFECT for summer! Get creative and try adding any smoked salt to the rim for a smoky layer that will pair perfectly with the sweet & spicy elements in the cocktail. This recipe works best if you have a juicer to juice the watermelon and jalapeños. 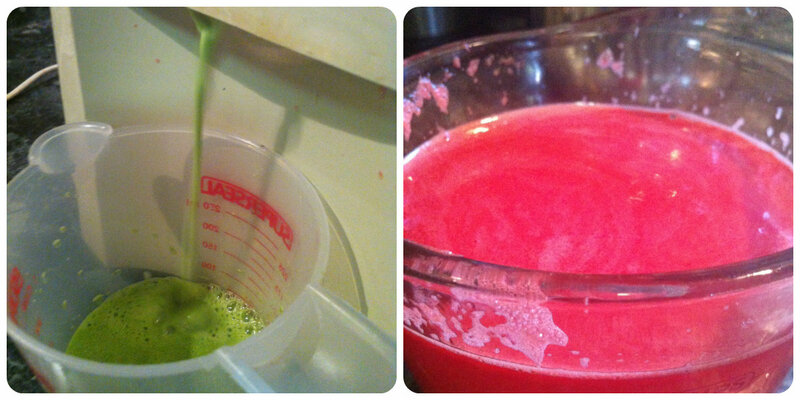 If you don’t have a juicer – don’t worry! See our variation below. 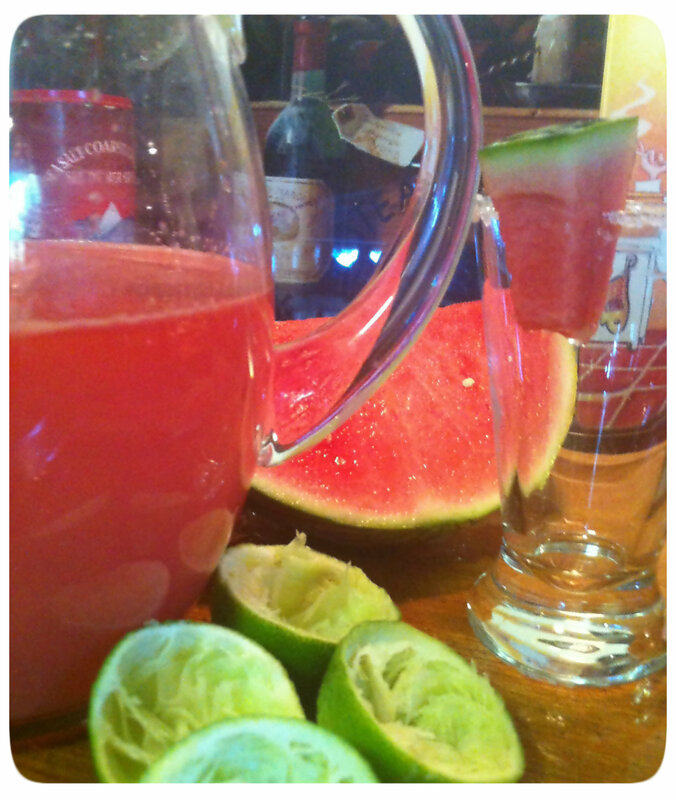 Juice your watermelon, jalapeño and lime in a juicer and set aside. Make sure you wash your hands thoroughly after juicing the jalapeño. Rim your glass with coarse or smoked salt. 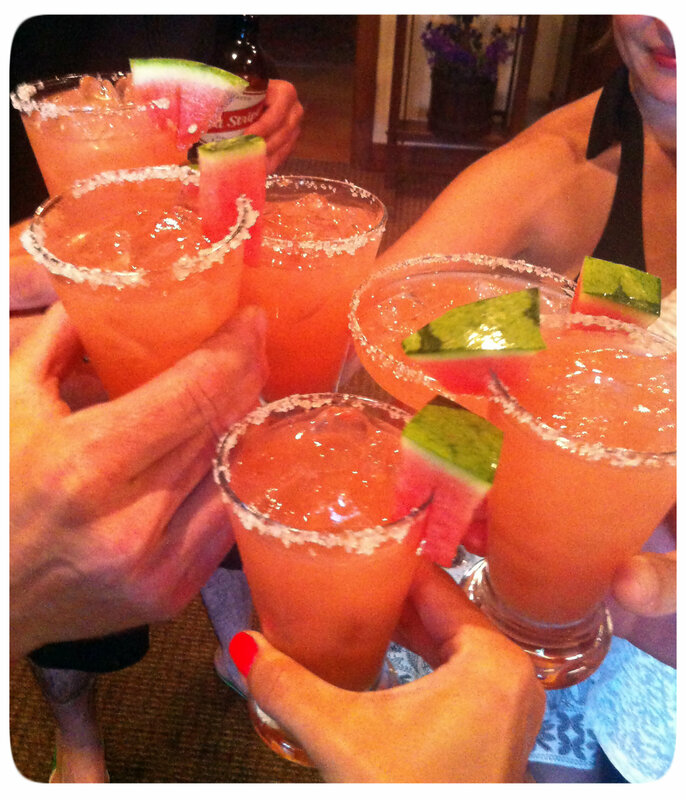 The easiest way to do this is to lightly wet the rim with a lime wedge and place the rim on a plate filled with salt. Next, place all ingredients in a cocktail shaker with a handful of ice. Shake vigorously and strain into a cocktail glass full of ice. 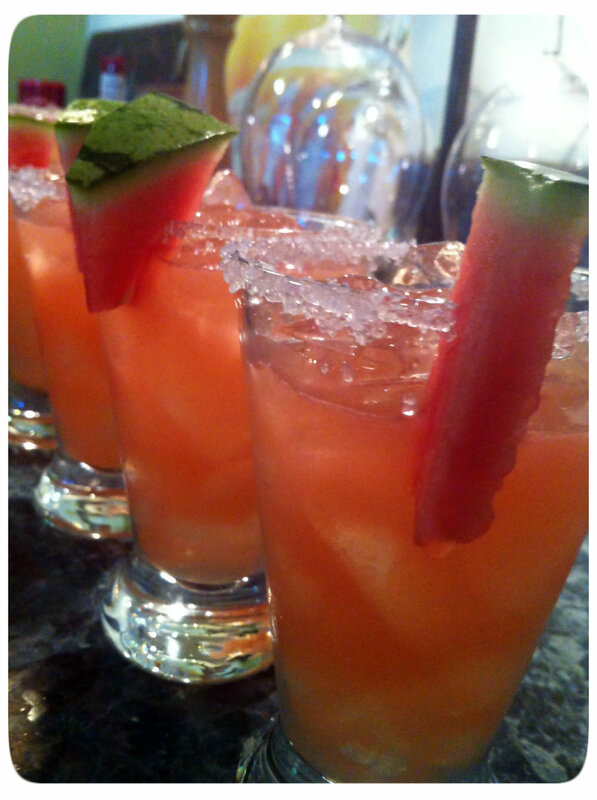 Garnish with fresh watermelon slice. Muddle 1/2 – 1 jalapeño (depending on how spicy you like your drink) in the cocktail shaker. Chop the watermelon into small cubes and puree in a blender or food processor until smooth. Strain the juice into a cocktail shaker along with the remaining ingredients. Shake, strain and garnish! Yowzers, these sound deeelish. Got try it out.